An ideal gift to share with mothers, sisters, and friends, this refreshing and engaging book offers new insights into the temporal and spiritual lives of our ancient sisters. Explore the lives, circumstances, and choices of women in the Book of Mormon in this uplifting and inspirational volume that illustrates the parallels between the lives of the women of the Book of Mormon and LDS women today. With new insights on practically every page, author Heather B. Moore explores the written and unwritten stories of the prominent women in the Book of Mormon — taking familiar material and providing vivid details about family dynamics, domestic practices, and other aspects of daily life. By applying historical and cultural contexts to the situations of women like Sariah, Abish, Eve, Mary, and the faithful mothers of the striplings warriors, you will peek beneath the surface of the scriptural accounts to better understand both the righteous women of the Book of Mormon — and the women who didn’t use their agency wisely. I thought this book gave some great insight to the women of the Book of Mormon and their impact in history. The only thing I wish she had done better was provide more information to help us know exactly what was going on during that time. For example, in the chapter for Abish, it mentioned frequently about her secret she had about her Father's vision that he wished for her to share. I can't remember what that vision was, so it was hard to understand just how significant her secret was. A brief overview of the vision would have been nice. The pictures online show that the pictures inside the book are colored but my copy has grayscale pictures. The content of the book is insightful. While we don't know every detail of their lives, the author gives us a basis for the culture of the times. While it may not be perfect, it's made me want to study the women as I read and think more about their roles. Consquently, it's helped me connect with the women a little more as actual people rather than characters. "EXCEPTIONAL, HISTORICALLY SIGNIFICANT, AND INSPIRING." REVIEW TITLE: "EXCEPTIONAL, HISTORICALLY SIGNIFICANT, AND INSPIRING." 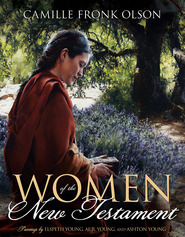 Author Heather B. Moore writes this book in response to interest in the lives of the women of the Book of Mormon reflected in readers' reception to her previous OUT OF JERUSALEM series. This book is an engaging, educational, and inspirational presentation, yet it's easily understandable and appealing to a wide range of reading audiences. The material is credibly presented and well-researched, as reflected in the 100+ author notes and additional bibliography. The reading content provides much food for thought, pondering, and the awakening of the mind to the value of the role of women of the Book of Mormon era. In reading this book, numerous issues and topics caught my attention for thought, consideration, and study. They reached the gambit from woman's original creation and sanctified role in perpetuating generations, the significance of maternal parenting, the role of women in preserving and changing culture and tradition, to the resourcefulness of women in sustaining life in challenging conditions including nomadic camp life of that era. Additionally, the text brought opportunity to ponder the morality and virtue of women, the tremendous significance of women's courageousness with personal choice and its consequences, the sense of community among women, and the manner in which women experienced classification as free vs. slave. Author Moore eloquently spoke of the existence of women living with their testimony of faith in silence to preserve their life, and at other times showing the fortitude of women heralding their testimony of faith to persuade and lead others to truth and Christ. Each of these expressions gave richness and depth to the lives that the women of the Book of Mormon experienced. While reading this book, I had many occasions when I felt edified by the author's text, and I share one of those to illustrate how the modern-day woman can, indeed, find the study of the lives of ancient women of scripture to be meaningful and applicable: The role of the wife of Mormon took additional meaning for me as a result of reading this book. Her honorable steadfastness with family leadership during extended periods of time when her military husband was absent made her role essential. I grew up in a military family, and at times my father was called to remote geographic locations during times of international military conflict, leaving my mother and maternal grandmother to hold our family together and sustain every need that we children might have as well as maintain our household. Never knowing whether or not our father would safely return was ever in our mind, and dependence upon my mother and grandmother for leadership, love, sustenance, security, and safety was a constant. Reflecting on this brought the principle to my mind that women throughout time have courageously stepped up to such leadership when needed, and they have remarkably and successfully done so. I gained a new respect and consideration for the wife of Mormon, and no longer focused only on his role in the Book of Mormon but gave a place of significance for her as well. Overall, this book is rich in content giving merit to the rise and fall of civilizations and generations of people of the Book of Mormon as seen through the eyes of the women who lived during that era. Likewise, the credible nature of Author Moore's work in bringing this to light for readers illustrates how the modern-day woman finds these issues relatable. Furthermore, this book will appeal to the interest of both genders, is a well-crafted work of scholarship, and very satisfying to read. The reading audience for this book could very likely consist of individuals belonging to the Church of Jesus Christ of Latter-day Saints acquainted with the Book of Mormon, persons belonging to various additional Christian faiths, and those interested in Mesoamerica history and faith-based scholarship of that era. The book cover and the colored artwork throughout the book are a beautiful complement to this book's presentation. Later editions of this book are in paperback, and the artwork in those is in black and white. My only negative comment about this book is that I would have liked for it to be longer because I enjoyed it so. I'm pleased to give this book a STRONG RECOMMENDATION TO READERS. How she got this to 102 pages was the only amazing thing about the book. The title should have been "Creating Personalities for the Women of the Book of Mormon". I thought this book would work better as fiction. This book was a disappointment. There were too many suppositions and inconsistencies for my taste. For example, on page 12, we are told that marriages were arranged by fathers, while on page 13 it is Sariah who faces the challenge of arranging her sons' marriages. And why was there a whole chapter about the Wife of Mormon, when we know nothing about her? I think an enjoyable novel might have been made out of this book. With so few women in any books of scripture, I found this book to be a fabulous reminder that although they might not have had the same attention as the men in the Book of Mormon, but they were THERE and they were real. I felt this really put the flesh on the bones of these woman. It was well written and full of cultural reminders about the lives these women lived. I've found it very helpful in developing lessons for church where I want to give a different viewpoint than perhaps we are used to. I thought Women of the Book of Mormon was such a great book! As a convert, there are still a lot of scripture stories I'm learning to connect with. Reading this book helped me to see what real life was like for women who lived during the Book of Mormon times, which made them so much more real to me. Loved the artwork, too! Even before reading the contents of the book, you are drawn in by the beautiful cover. There stands a lovely woman, all dressed in white, who you find out is Mary, the Mother of Jesus. 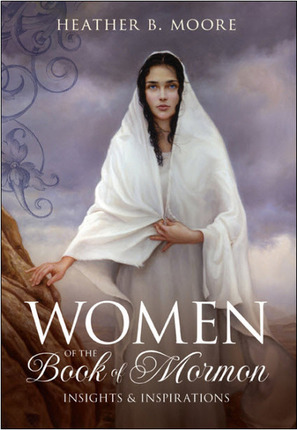 This book covers the lives of the women that lived in Book of Mormon times, such as Abish, the Twenty-four Lamanite Daughters, Queen of King Lamoni, Daughters of Jared and Wife of Mormon and others. 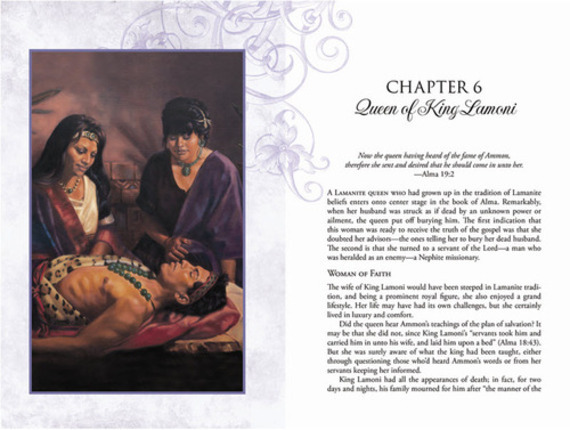 You learn more about the women from the bible who were mentioned in the Book of Mormon. These women are Eve, Sarah and Mary, Mother of Jesus. As you read this book, you will learn many things from these faithful women of the Book of Mormon. Sariah, Lehi's wife, showed us how to be humble, resourceful and faithful. Eve, demonstrated how the pursuit of faith should continue all of our lives. "Faith was a lifelong pursuit for Eve, and her need mirrors our need to continually " call upon" the Lord. Just as our first mother did, and as the women of the Book of Mormon did, we have the privilege of turning to the Lord in our times of need. " 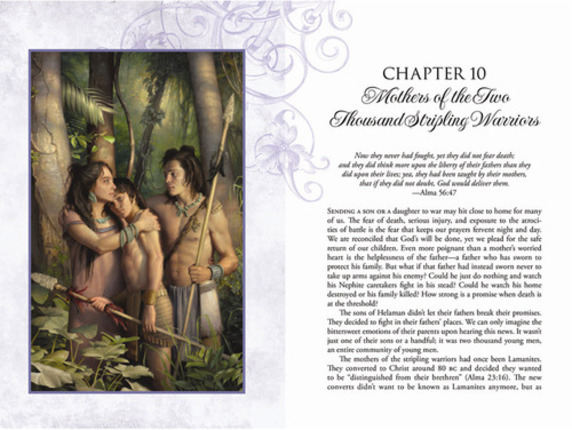 The chapter that touched my heart the most was "Mothers of the Two Thousand Stripling Warriors". These women were new converts to the gospel of Jesus Christ. They taught their sons about their past and how their lives, living the gospel, had changed them and their hearts. I love how Heather points out here that the women taught their sons about faith and what it meant to possess it, to embrace it. Isn't that something that we would all like to do for our children? I know that is what I am striving to do. I must share with you, one more quote from Heather that I would like to print out and hang on my wall. "As our own children grow and mature, we might ponder their innocent natures and wonder what we have taught them. How, like the mothers of the stripling warriors, can we prepare our own children to face the battles they'll certainly encounter? We make every effort to raise our children in the gospel, but once they're away from the protective arms of family, will they stray from the narrow path? Will their faith sustain them?" Not only does "Women of the Book of Mormon" have beautiful art in it, but the words are also written so eloquently. This book is easily read and is 93 pages long. Heather is such an intelligent woman and it truly shows in her research and writing. I also admire Heather for her great love of the Book of Mormon and it's people. She has written many novels about the Book of Mormon people such as the "Out of Jerusalem" series, "Abinadi," " Alma" and the soon to be released "Alma the Younger" that is also coming out this year. Heather in 2008, won a Whitney Award and the 2009 Best of State in Literary Arts, for "Abinadi". If you’re looking for a perfect Mother’s Day gift, look no farther than Heather Moore’s new book, Women of the Book of Mormon. Don’t let this slim volume fool you into thinking it is light-weight, because it is not. The information is well-researched and documented, yet easy-to-read and interesting. Despite the fact I had read the manuscript in its early draft form, I still found myself stopping often to ponder the information and insight Moore had provided into the lives of these women. One striking moment for me was the reason why male children were preferred over females—because females left a family to join the family of their husband, and males remain a part of their father’s household. Suddenly, I understood not just these women, but also the centuries-old preference for male children which still seems to exist around the world today. Another strength with Moore’s book is the chapters devoted to women who are also in the Bible—Eve, Mary, and Sarah—making this an appropriate gift for your Non-LDS friends and family members as well. The color illustrations add a new dimension to the text, allowing readers to visualize each of these women in their unique situations. I know Women of the Book of Mormon is a book I will return to reread again during my scripture study, or when I need a moment to ponder how blessed I am in my own life trials. 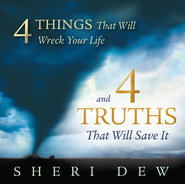 I know I will buy multiple copies of this book to share with my family members, of all Christian faiths. Heather Moore's fictional works centered around the stories of The Book of Mormon have always made the reader think more deeply about the people found there. Now she's turned her talent and research to this even more inspiring and introspective nonfiction work. Women of the Book of Mormon closely examines the lives, challenges, and spiritual triumphs of the oft overlooked women found in its pages. I was particularly touched by her insights into Sariah's and Mary's lives and found myself considering---and looking to their examples---how they handled the challenges they each faced. 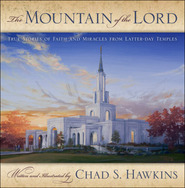 I would recommend this book to any individual or family as a companion reader when studying the Book of Mormon. They were women who lived thousands of years ago. They spoke different languages, had different customs and undoubtedly faced challenges that the women of today can only imagine. But they have been brought back to life once more in H.B. 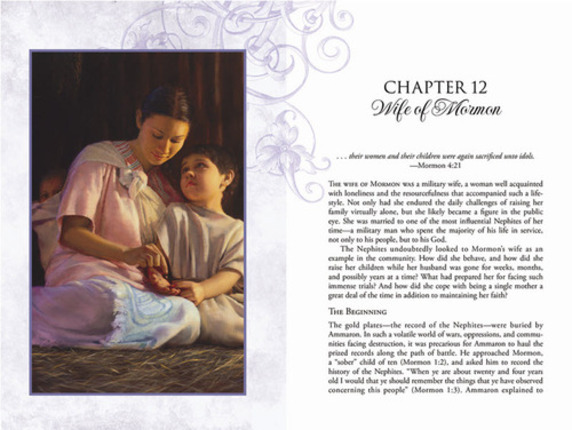 Moore’s new non-fiction book Women of the Book of Mormon: Insights and Inspirations. And in writing of them, Moore teaches us an important truth: We are all daughters of our Heavenly Father and through His care we can overcome any challenge. Her well-crafted descriptions and in-depth research help us to see these women through their own unique experiences and to understand them better. Destined to become a useful reference guide alongside other previously published Book of Mormon guides, Women of the Book of Mormon sheds new light on what have been the lesser-known characters of the Book of Mormon to remind us of the invaluable roles that these brave women played. I love things that make me expand my way of thinking. This book was one of those things. I have read the Book of Mormon a number of times, and I’m constantly amazed at the different things I find there. “Women of the Book of Mormon” opened me up to aspects of the Book of Mormon that I had not yet considered, especially cultural considerations that make the text more meaningful. Once such example was the fact in Jewish society about the importance of sons and what they meant to a woman in that society. It was seen as a sort of status symbol, as childbearing was considered a woman’s primary function in the society. Sons were prized higher in that society because they stayed in the family instead of becoming part of someone else’s . In that context, it makes Sariah’s lament about losing all four of her sons at once to Laban’s clutches much more poignant. The book is a very quick read and left me wanting to look further into the characters mentioned and to pay closer attention to them next time I read through. Each chapter not only goes into the background of the characters, but ties it in nicely with personal applications for the reader’s life. Each chapter is nicely accented with a full-color painting, many of which I was not yet familiar with, but all very tastefully done. The book releases in April and I highly recommend you pick it up. Visit http://www.hbmoore.com/ to learn more about Heather’s award-winning writing and to order her books.